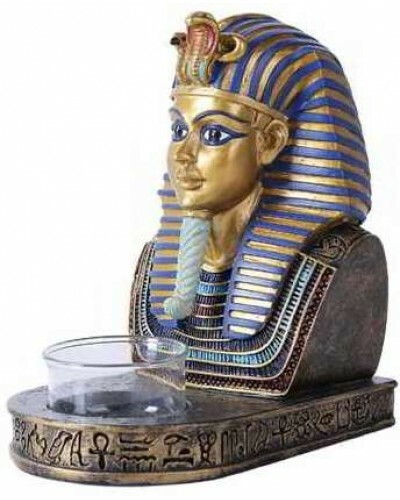 Beautiful King Tut candle holder is for tea light candles. This cold cast resin version has all the beautiful colors of the original in hand painted detail instead of semi-precious gems. 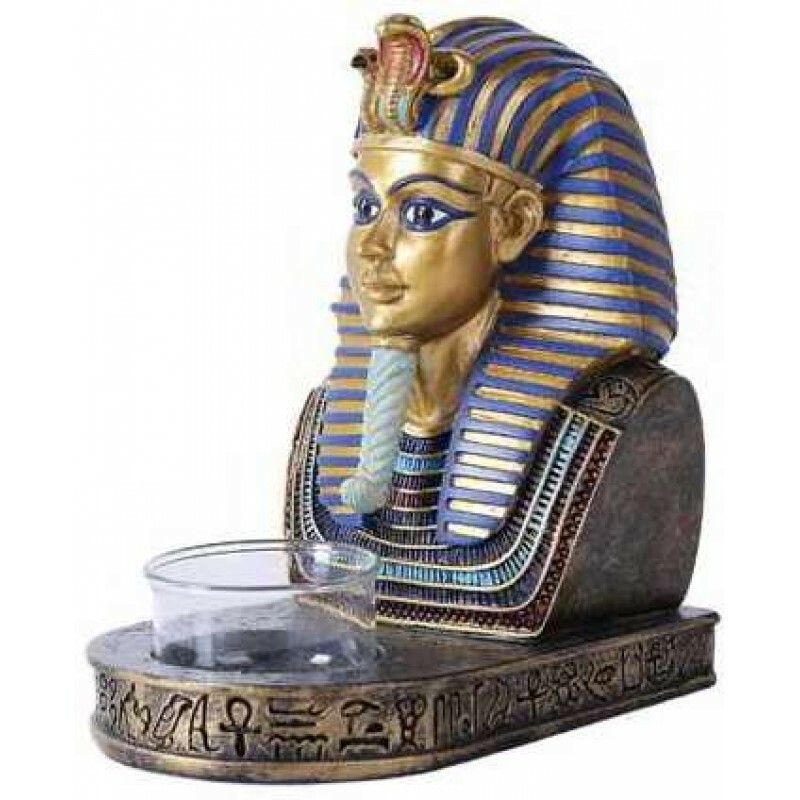 Not actually a mask, it is a solid statue for your table or desk standing 5 1/2 inches high mounted on a base surrounded by Egyptian hieroglyphs that also includes a glass tea light candle cup (candle not included). 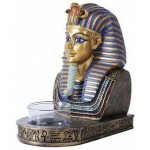 Item Number: PT-11117 | Approximate Size (Inches): 3.35 wide x 5.35 deep x 5.50 high | Approximate Shipping Weight: 2.00 lbs.